This one owner Tartan 3700 can be easily viewed by appointment. 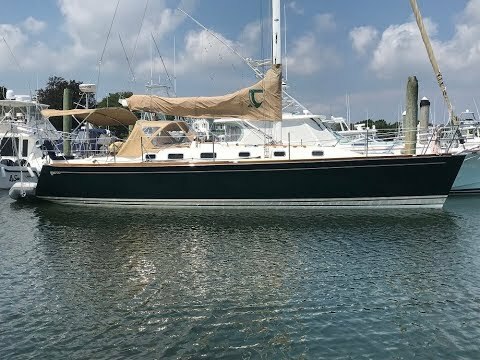 Sailed throughout the summer within a 200 mile radius of Mystic, CT. and winter stored on the hard. 40 HP Yanmar - all Raymarine electronics - draft 5' Beavertail. Very well maintained and in Excellent Condition. Tim Jackett designed the Tartan 3700 with a wide beam allowing stability and plenty of room for comfort. It was the winner of Sail Magazine's top 10 boats in 2000 and Cruising World Magazine's best mid size cruising boat of the year in 2000. 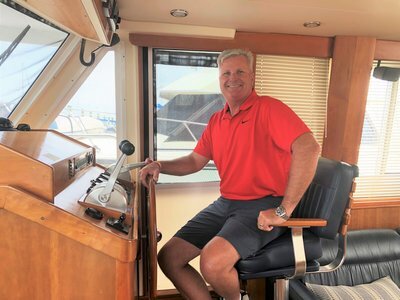 When Tartan's designer, Tim Jackett, set out to create the latest in a long line of excellent 37-footers from Tartan, he thought past the usual approach to the performance/accommodation puzzle to arrive at a number of wow, that's the way to go-style solutions. The result is a fast and stable performance cruising yacht with an uncommonly welcoming and functional interior. A key aspect of the Tartan 3700's reassuring stability is the generous 12-foot 7-inch beam that is carried well aft, but with an innovative twist at the stern where topside flare adds plenty of deck and cockpit space, while keeping the transom waterline on the trim side. The tall, two-spreader masthead rig provides plenty of sail for rewarding performance in light winds, and each of the 3700's keel options is designed to make the boat stand up and keep driving in breezy conditions. The accommodation plan of the Tartan 3700 works equally well for feeding and watering a cruising crowd or for pampering a family or two cruising couples on an extended sailing vacation. The two staterooms are completely private, each with generous-size clothes drawers and hanging locker. And by cleverly angling the bulkheads of the dinette outward and angling the bulkheads of the nav station and galley inward the feel of the 3700's interior suits the particular function of each space. Forecabin with vanity and sink, lockers, shelves and hanging locker Furniture grade main cabin settees and seats with contoured cushions Main cabin with cherry hardwood cabinets throughout Large storage outboard of main cabin seatback Drop-leaf centerline table with table storage Full navigation station aft to port Navigation locker with storage space for extensive electronic installation (3) drawers and tube chart storage Aft cabin with a double berth, hanging locker and shelves. Storage below berths. (2) Helmseat storage lockers. Propane gas storage for two tanks. Hinged storage on top of engine box. Cockpit seat locker port. Main cabin settee, converts to double. 3 burner Force 10 gimballed LPG stove with oven and broiler Double stainless steel galley sinks - 9" deep Molded top and front load ice box, 4" foam insulated. Built-in trash bin. Hot and cold pressure water and manual fresh water pump. 80 gallon freshwater aluminum tank. Extensive lockers, shelves and dovetail drawers. 40 Hp diesel with console mount controls and instrument panel. 38 gallon fuel capacity with remote gauge. Racor fuel filter/water separator. 2-blade folding propeller on stainless shaft. Brass interior cabin dome lights and directional lights. Navigation lights. Electric sump pump. Electric bilge pump. 12 volt DC metered panel. 110 volt AC shorepower with distribution panel. 50 ft. shorepower cord. (2) 105 amp batteries with selector switch Electrical bonding system. UL approved stranded, tinned copper ABYC color coded wiring throughout Wiring conduits provided for future installations. Green Awlgrip hull, hand laminated with alternating layers of strand mat and uni-directional "E" glass locally reinforced. Fully cored with high strength, impact resistant synthetic core for stiffness with solid glass at all thru hull, chain plate and keel installations. Gelcoat backup layer is laminated and chemically bonded using a 4mm barrier coat of vinylester anti-corrosive resin for blister resistance. 90Âº throw flush thru-hull fittings. Bulkheads and floor timbers are bonded using advanced adhesive technology. Built to meet ABS Plan Certification. White, off-white or sand gelcoated deck with patterned, contrasting non-skid. Hand laminated sandwich composite of polyester resin, uni-directional "E" glass and end grain balsa core. All hardware installation points are solid glass backed with aluminum plate or FRP backing plates. Joined to hull using stainless steel fasteners that are drilled and tapped into aluminum backing plates molded into hull flange, spaced to meet ABS specification for offshore sailing yachts. Bonded with 3M 5200 sealant.